I visited Shirakawa City today. I got off at JR Shirakawa Sta. and looked at Kominejo Castle which stands right in the north. 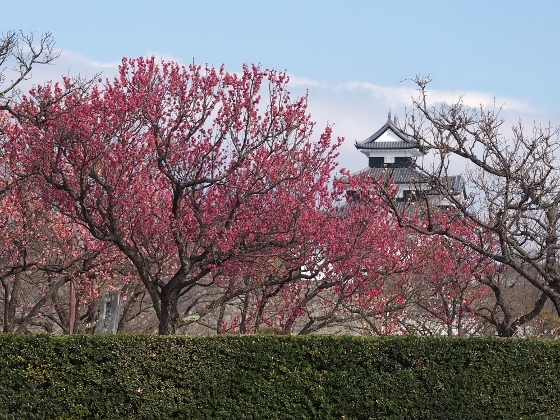 There was a garden of ume trees between the station and the castle, which made this view shown above. Some of the ume trees were in full bloom. 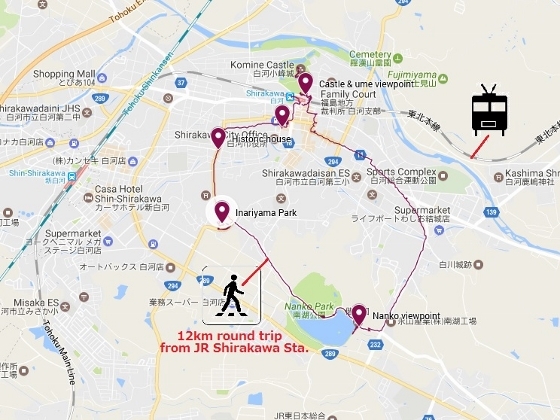 Then I walked along an old highway which was part of the old castle town and which led me to Nanko Park. 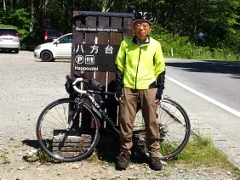 This was an old park which was completed in 1801 by Shrakawa domain lord Matsudaira Sadanobu. The park was later designated as a National Scenic Site. 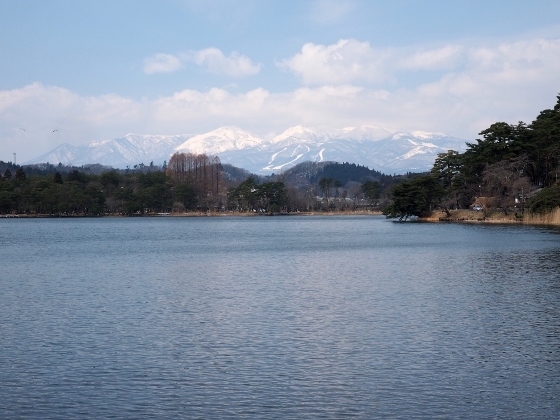 Today, I could view early spring quiet Lake Nanko with snow-capped Nasu Mountains in the background as shown above. Next, on the way back to the city center, I stopped at Inariyama Park. 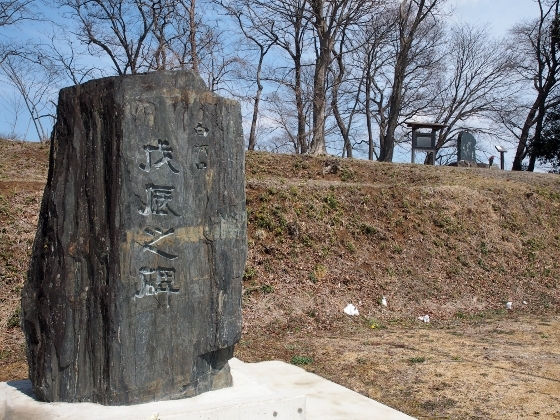 This is a place where severe battle occurred during Boshin Civil War in 1868. 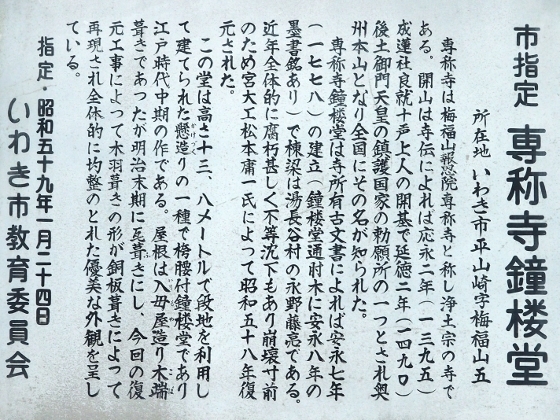 Hundreds of soldiers in Tohoku and Niigata region died in a battle against new Meiji Government forces. There was a memorial monument as show above. 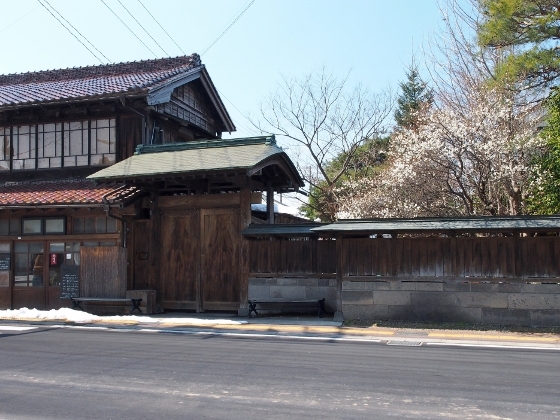 Further on the way back, close to the city center at Nibancho district, I found an old house built in early Meiji Period which is more than 100 years ago. The house is being preserved by the city as a historic building. You can see seasonal ume blossoms in the old garden. The building is still being used today as a special restaurant. At last I came back to the central part of the city, where I found a western style church building as shown above. This was built in 1915, which was more than 100 years ago. 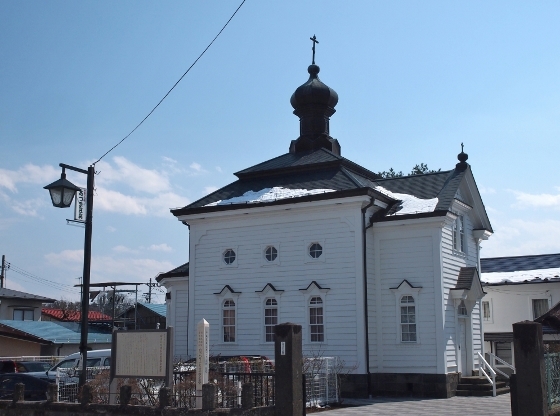 The building is preserved as a Prefectural Important Cultural Asset and yet being used for regular Mass on weekends. Today I visited Senshoji Temple in Iwaki City. The old temple was established back in 1395. 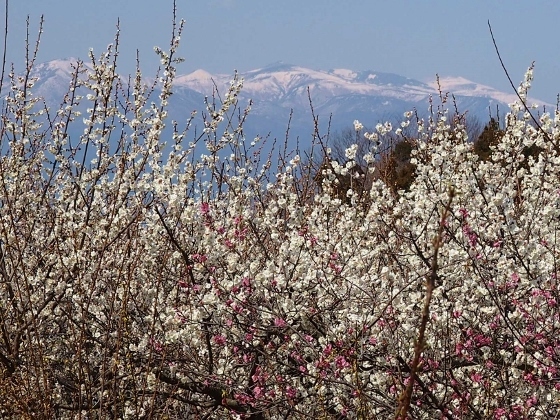 It is known as one of ume blossom sites in Fukushima Pref. 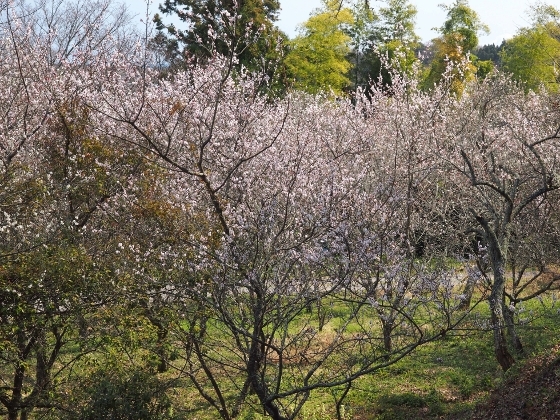 with its several hundred ume trees. 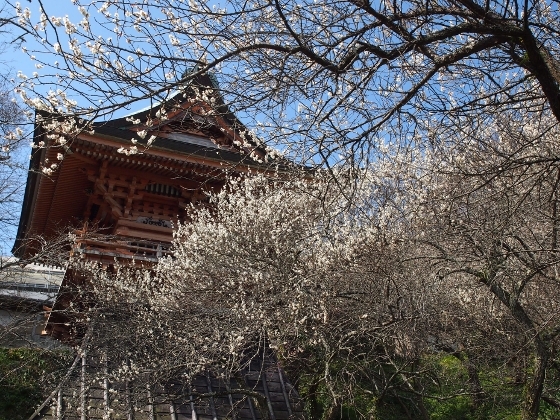 A photo above shows its bell tower building which stands in the precinct surrounded by ume blossoms. A description above is of the temple and the bell tower. Some of the temple buildings were designated as national important cultural assets. But they had suffered damage from the great East Japan earthquake. Repair work for the main building (hondo) and others is on the way. 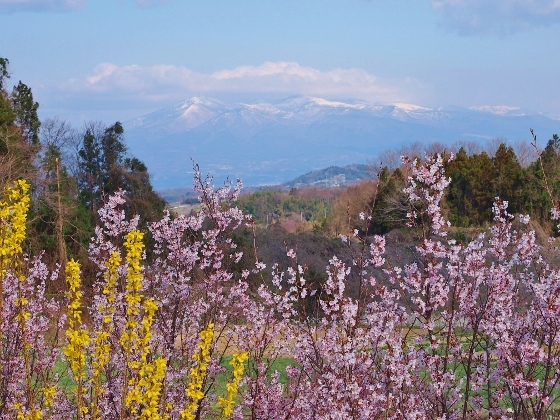 For this reason, the garden is open to the public only on 25th and 26th of March this year. 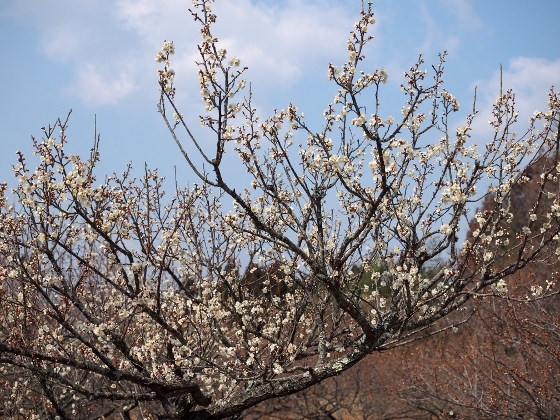 Another photo of ume blossoms in the garden is shown above. 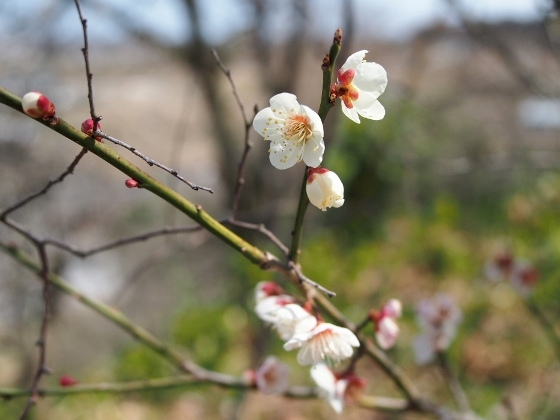 This is a close-up view of ume flowers. 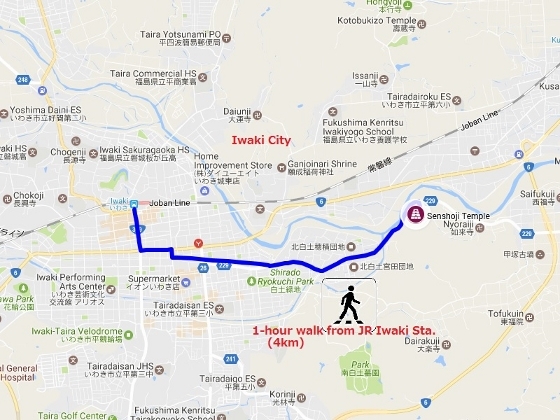 The location of the temple is about 1-hour walk to the east from JR Iwaki Sta. 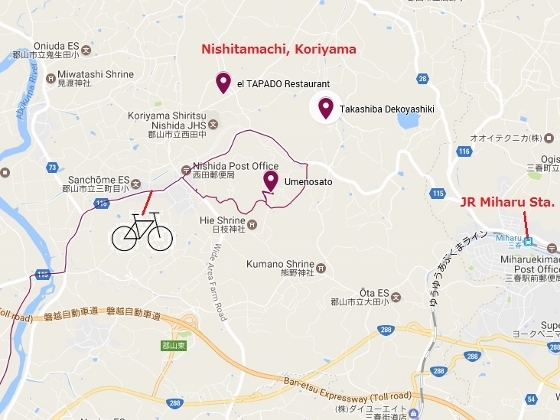 Please look at the map below.